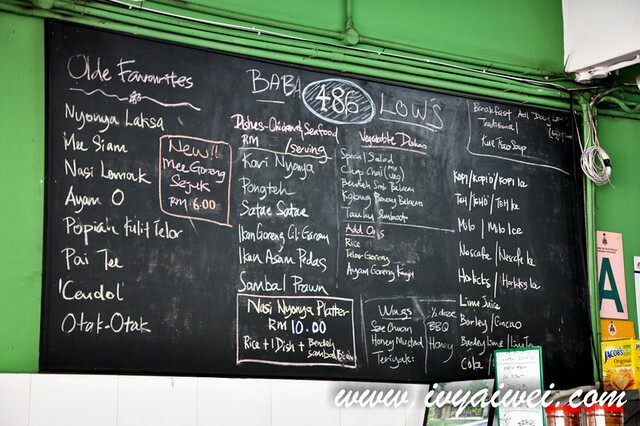 For a good plate of nyonya peranakan fare in KL, one must pay a visit to Baba Low’s 486 which is located in a quiet lane, Lorong Kurau in Bangsar. 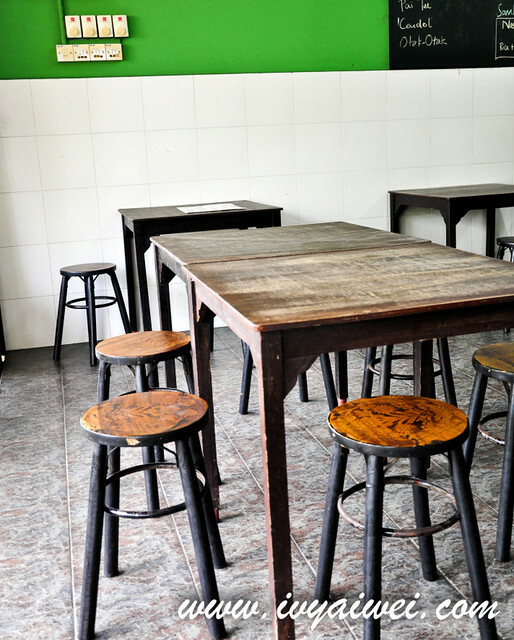 I am sure some of you might think, ahh, another place in Bangsar, surely will give the pocket a hole. Well, nope as this kopitiam-liked place serves good nyonya-flavoured dishes at a wallet-friendly price. Vintage tiles and tables and chairs; even the plates and bowls too! On the chalk board, with daily’s special and new items stated up there. 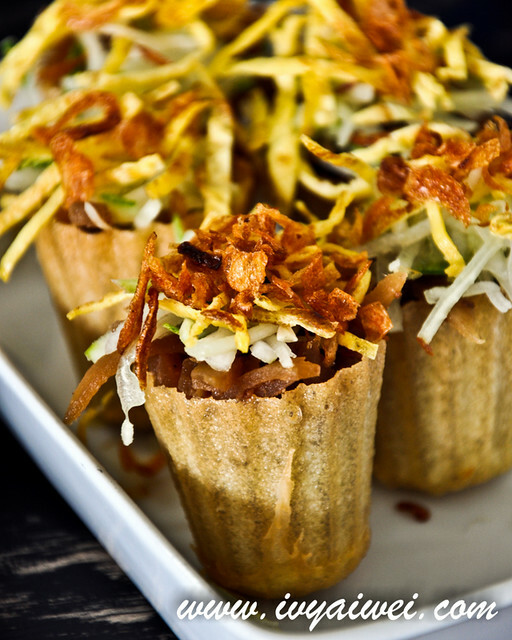 A traditional peranakan snack; with shredded vegetables, egg strips and fragrant fried shallots stuffed in this crispy “hat shaped” pocket. Best to enjoy it with their homemade vinegar chili dip (cili cuka). A peranakan spring roll with turnip stuffing, fresh coriander, friend shallots, bean sprouts, egg strops, cucumber and a dash of gula Melaka sweet sauce, garlic and grounded red chilli. 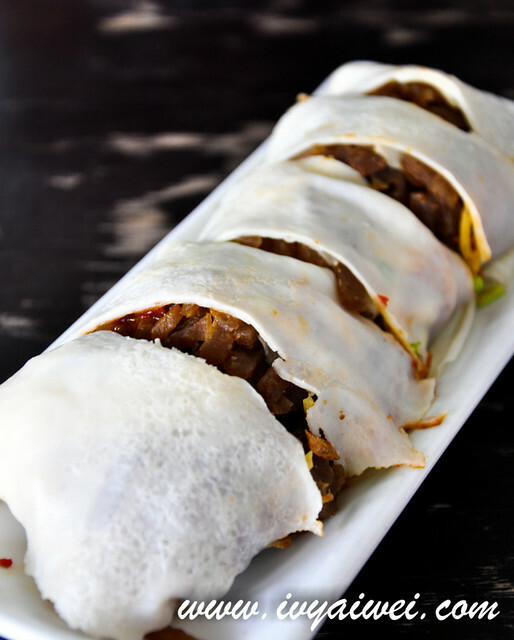 The popiah skin was kinda different, it was thicker, softer and chewier. Some may like it the way and some may not. 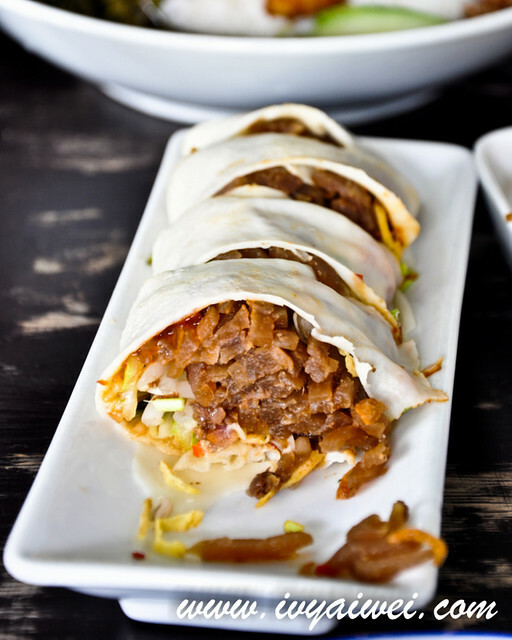 Get to that the popiah wrapping are freshly made daily. Big fat roll of popiah. 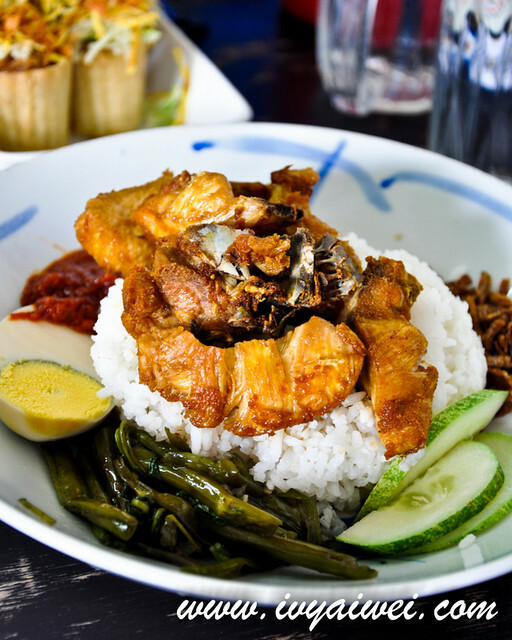 The traditional Malacca Nasi Lemak; served with ingredients such as fried anchovies, groundnuts, egg, sliced cucumber and kangkung air and their extra kicking homemade sambal. 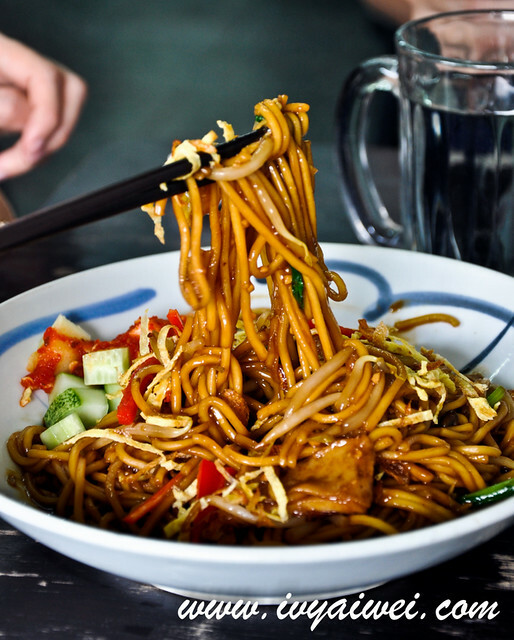 Nyonya style fried noodles; served with pineapple sambal belacan salad. 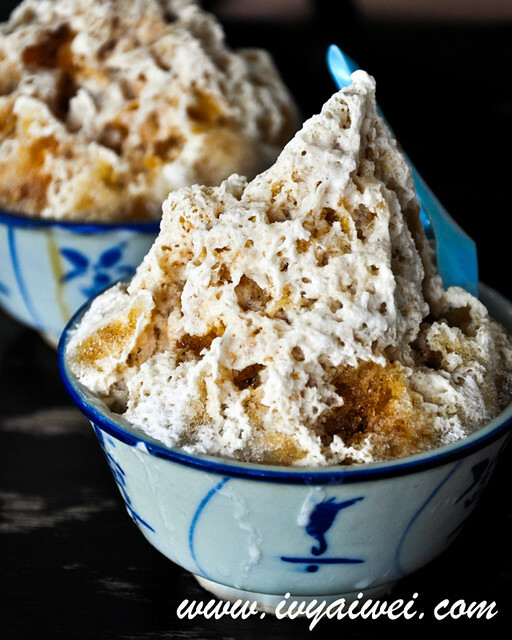 Love its tangy sweet flavours that stir fried with wok hei. 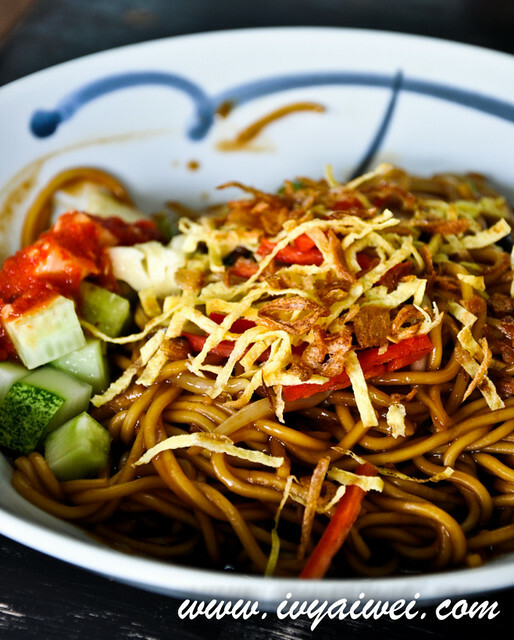 Spice-fried beehoon that served with cucumber, egg, fishcake, fried shallots, freshly cut lime and homemade tamarind dressing. 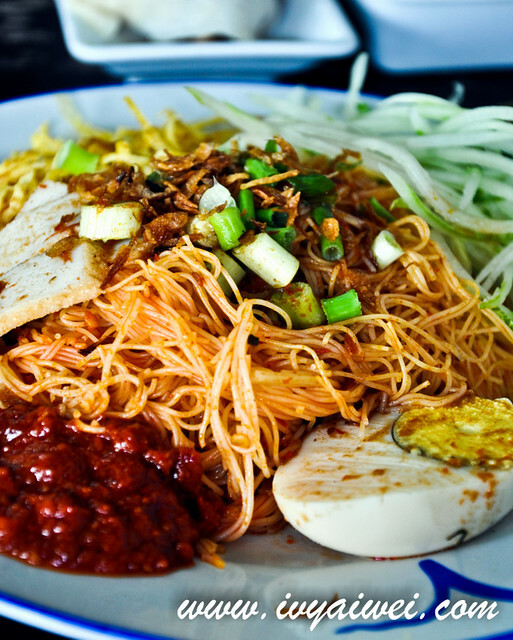 Added with tamarind sauce, it was an appetizing beehoon dish. Love its generous portion so does the price. 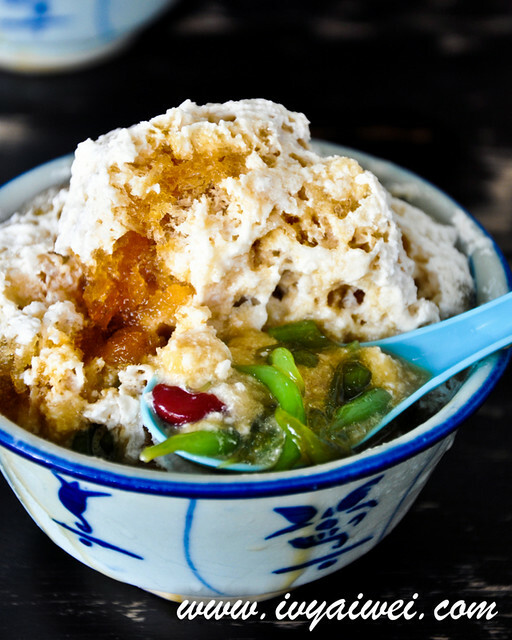 Dessert comes simple, sweet dessert that our local Malaysians love; fragrant dark green pandan cendol, served with shaved ice and flavoured by coconut milk and gula melaka. A cooling agent for those hot days but my love still goes to this one in East & West Rendezvous. But of course, that’s far away down south. Read more about Baba Low’s 486 in The Star. Thanks to my dearest bff ting fang and KC for the lunch. ya, i do wish there the place is air-condition-ed. oh really??? now more choices izzit? ohhh, i din get a try on the laksa and nasi lemak was my friend’s order. it was ok, personally. 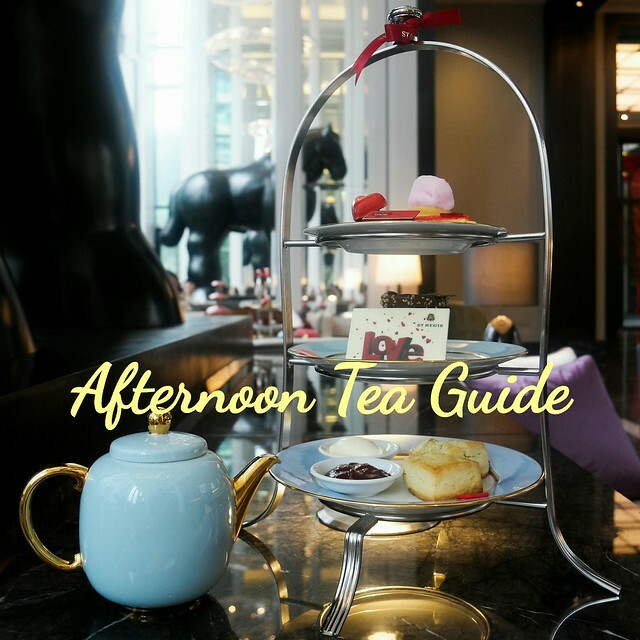 Can I check if they have service charge/government tax here? hi Cynthia, if i am not mistaken, there is no service charge and government tax over here.